Melissa Mercer was chosen as the Faculty Focus Friday employee for elementary schools! 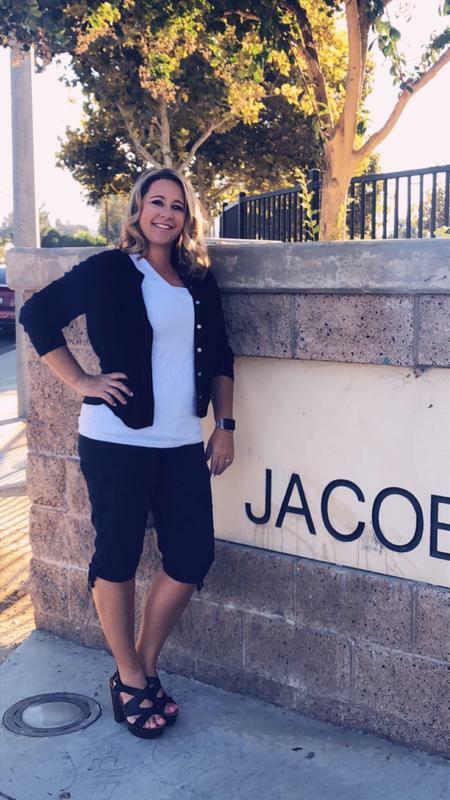 Melissa is a Kindergarten teacher at Jacob Wiens Elementary School. She has been teaching for 19 years and has been at Wiens since it opened in 2001. Melissa is a West Valley graduate and went to elementary and middle school in Hemet as well. She continues to have an unwavering commitment to laying a strong foundation for her Kindergarten students and always goes above and beyond the call of duty to ensure her Kindergarten team and the entire Jag family is happy and having fun! Thank you Melissa for your hard work and dedication to the students and staff in Jaguar Country!